Welcome to the Datapack Jam! This jam is like any other game jam, except instead of creating a game, you must create a datapack for Minecraft latest release! 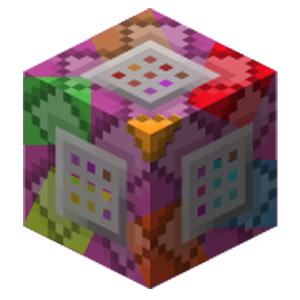 Since 1.13, Minecraft is becoming more and more an engine that can be used to create new ides or recreate old ones into it. Thanks to Datapacks, you can add functions run by the server (so much less resource-consuming than with command blocks), custom crafting recipes, custom models, etc.. This is the opportunity to create an event based around that creativity! The theme and limitation will be selected from a pool of your ideas, dependent on how popular they are. Head over to the Discord server to access the channel to submit your theme and limitations ideas! Once around 5 to 10 of each are selected, a final vote will occur where you will decide of which theme/limitation you want to see or not. They will both be revealed once the Jam starts. Theme: How much does the datapack sticks to the them? Did it use it in an interesting way? Limitation: Does the datapack respect the limitation? Did it find ways around it that are interesting and/or efficient? Ergonomy/Feel: Is the datapack easy to use/install? Does it feel good to use? Polish: Does the datapack looks good? Does it uses new/pre-existing assets to make it look/sound good? Jam cover image by Ripstickerpro, a huge thanks to him!